The Panther River region is a major tourist and industrial area. Huge areas are allotted for cattle grazing, gas extraction and logging, mainly by clear cutting. The James River, just north of Sundre. Originating at James Lake (51°43′55″N 115°25′56″W), like the other tributaries, the James River runs across much agricultural land and is subject to the usual farmyard run-off. There is also evidence of ATV riding along the banks. 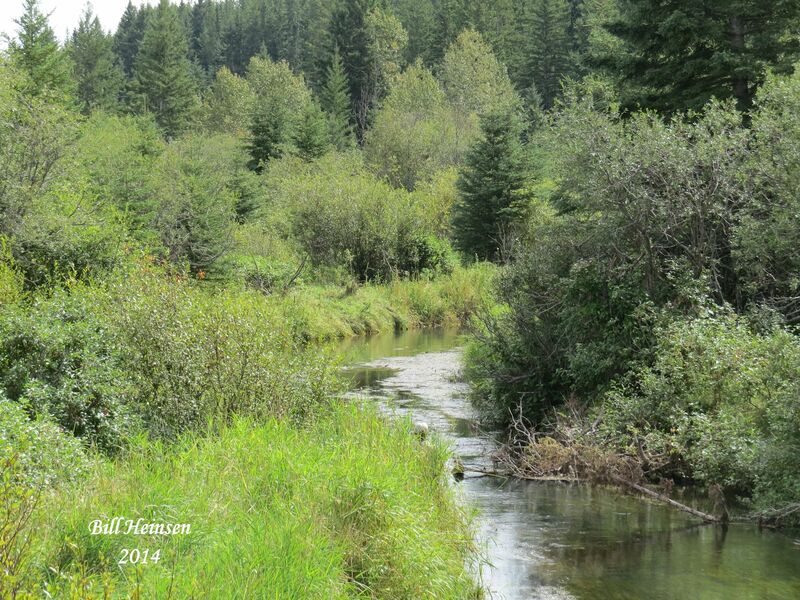 It joins the Red Deer River a few kilometres northeast of Sundre, Alberta. The river is named after James Dickson, a Stoney chief, who signed Treaty 7 with the Canadian Government in 1877. Fishing is a major recreational activity along the river. The forestry trunk road follows the James River for part of its course. 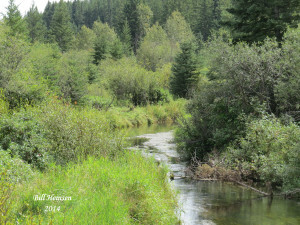 The Raven River is noted as one of the best trout streams in Alberta. Recent efforts to work with the local farmers to clean-up the river and to restore previously damaged habitat have been a major success story. 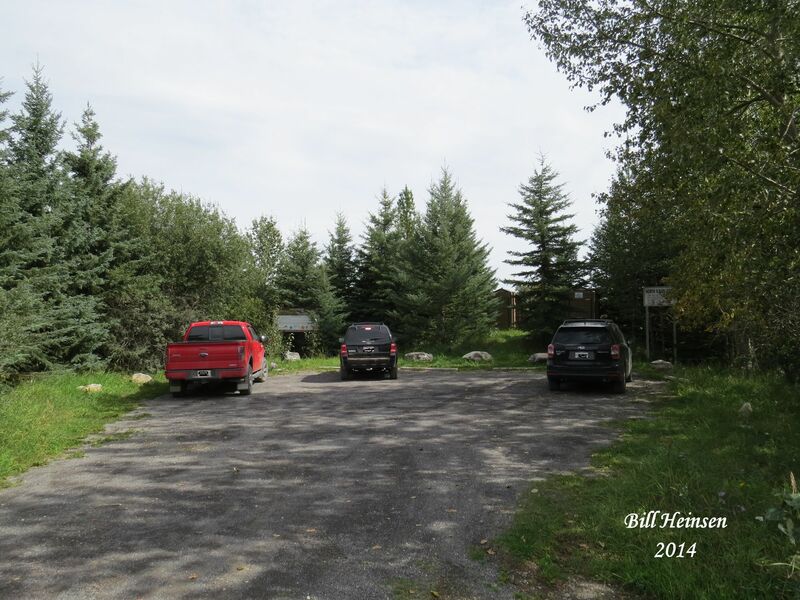 The river runs across much private land, but there are a few access points. 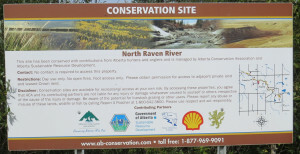 With the cooperation of local farmers and ranchers, parts of the North Branch of the Raven River have been fenced to keep cattle out and riparian restoration has been done. Small parking areas have been provided. The river, shallow in the fall, has become a trout producing river again. 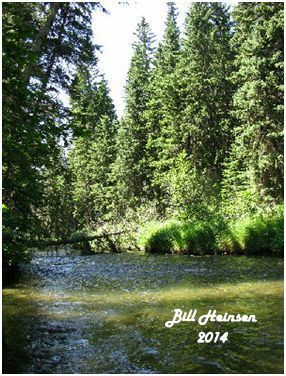 Fishing has become a pastime for many on this wonderful little stream. 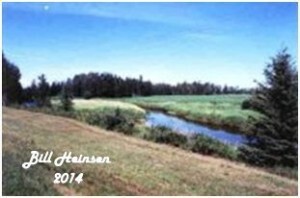 The Little Red Deer River near its origin. As the crow flies, the Medicine River crosses less than 100km of Central Alberta. However, if you were put your canoe into the river at its source and paddle its full course taking in all its twists and turns, you would be faced with a trip in excess of 550 km. The Medicine River begins at Medicine Lake (52°43′54″N 114°43′53″W) north of Rocky Mountain House. The Medicine River has long been a landmark and a barrier to travel in Central Alberta. The early settlers were able to ford it easily during the low water months in the summer, but during the spring runoff and after heavy rains, it could become a torrent. Still, it usually presents a picture of peace and tranquility. Unfortunately, that pastoral picture is only surface deep. Long gone are the days when kids could swim in the river and fish taken from it, if there are any, could the eaten. The river has become a sewer for the many farms it traverses. Shortsighted farmers and ranchers still allow cattle and other livestock to drink directly from the river and in the process they foul the water. By midsummer, the river is covered in stale-smelling algae, the product of the nutrient rich water. Government policies do little to discourage these activities. 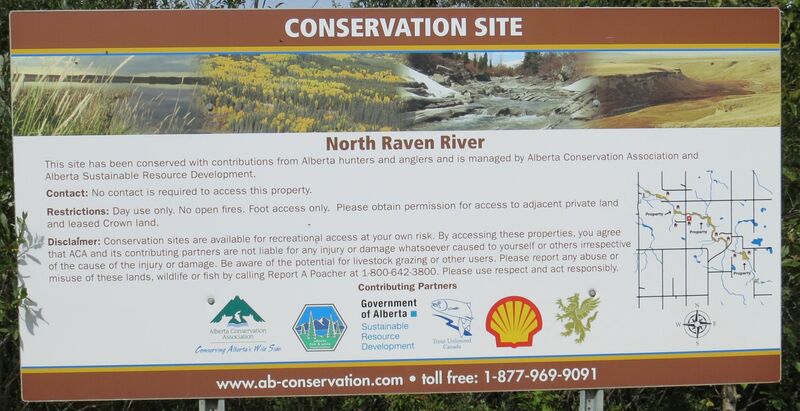 RDRN applauds the recent efforts of a few of the river’s neighbours to spearhead a cleanup, to install fences to keep cattle away from the river, and one day to reintroduce a fishery. The task is daunting; the cleanup formidable. 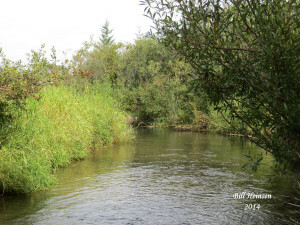 It has been used at the whim of local farmers and ranchers for so long that it is difficult to imagine the timetable that will have to be followed to return the beautiful little Medicine River to its former state. 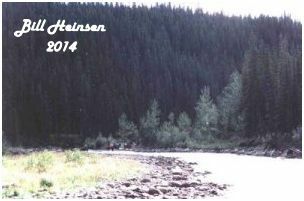 Confluence of Blindman and Red Deer Rivers. 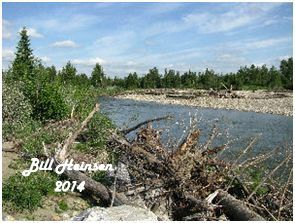 Geologically, the Blindman River is old and traverses the farmlands of Central Alberta. 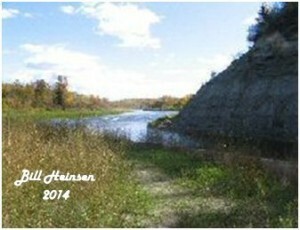 Along its banks, near to where it joins the Red Deer River, is a major fossil bed dating from Miocene times. It starts in swampy areas near Rimbey (52°53′13″N 114°34′39″W) and joins the Red Deer River at Burbank, just east of Blackfalds. 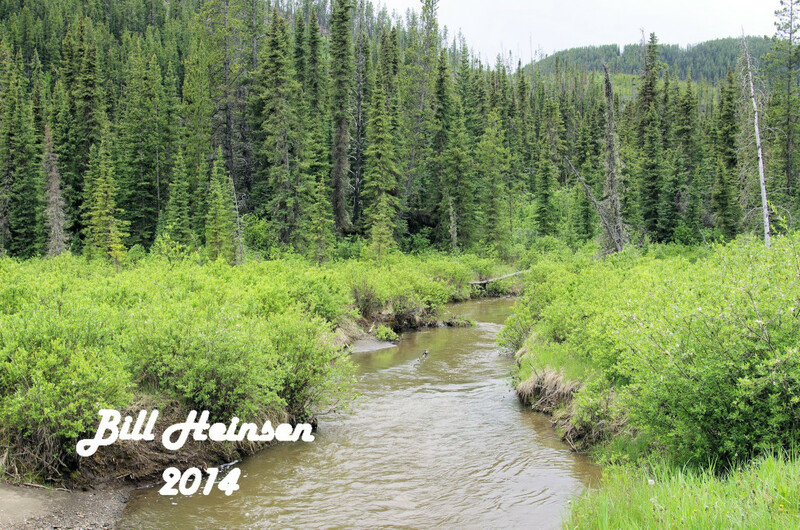 Like its sister, the Medicine River, the Blindman River has had a sorry history. Farmers and ranchers still allow cattle to enter the river to drink and little is done to prevent barnyard manure from entering the water. Provincial government policies do little to deter such activities. By midsummer, the phosphates and the nitrates from the cattle cause the bottom of the stream to become stale with algae. Few fish venture into it anymore. 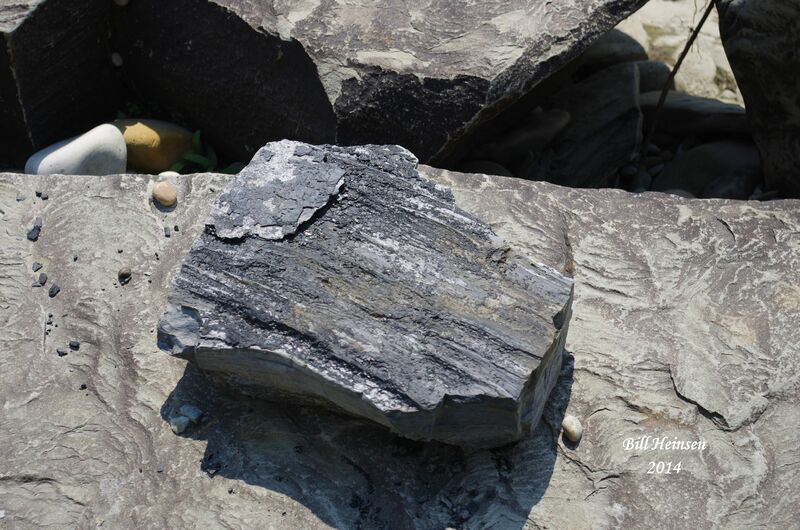 Coal formed from wood is common ii the Blindman River. Fossil tree trunks and branches. Cliffs along the Blindman River are renowned for their fossil beds. 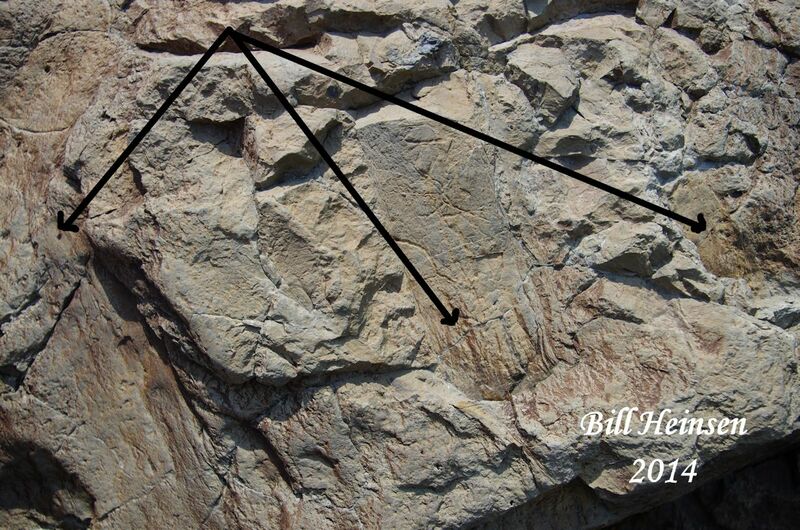 This area contains leaf fossils from about 50 million years ago. The fossils are contained in a matrix of limestone and sandstone. The rocks are fragile making extraction of the fossils very difficult. A large granite erratic. Insert shows crystal structure. 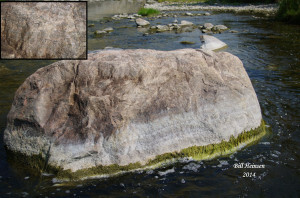 Erratics of various sizes are found in the river bed. Grave till is spread just below the surface in much of the valley. All this is debris left at the end of the last continental glacial period. A few kilometres to the southeast of the confluence of the Blindman and Red Deer Rivers are large areas of kames and kettles topography where some cattle are grazed and several gravel pits have been established. That area have been an important breeding area for waterfowl. 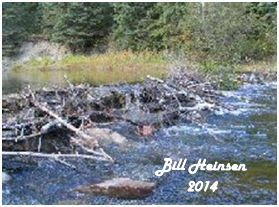 Beavers continue to be active in the river. Every autumn, these industrious rodents build dams in the river. During the spring break-up, ice flows invariable remove the dams. During the intervening winter season, riders and snowmobiles and ATV’s careen along the river ice using the dams as obstacles for their pleasure and destructive activities. Springtime runnoff on the Blindman River.